After capitulating meekly in Adelaide, the Aussies came roaring back in the second Test to level the series at 1-1. 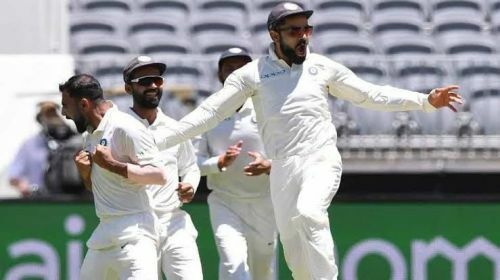 Now both India and Australia will aim to take an unassailable lead when they face each other in the third test of the series at Melbourne Cricket Ground from Wednesday, 26 December. Australia have now played 96 Test matches against India of which the hosts have been able to win 42, while the visitors have won 27 of those. After an impressive show in the second Test, Australia are considered favourites to beat India - especially considering their undefeated Boxing Day record against the visitors. The two teams have faced each other on seven Boxing Day occasions, with the Aussies dominating the scoreline 5-0. But you cannot underestimate Indian lineup; that have the ability to thrash any opponent on their day. So we can expect it to be a close encounter at the MCG. Team India aim to end boxing day drought. India have had a poor record in Boxing Day Tests. The Men in Blue have featured in 14 Boxing Day Tests and managed a solitary win, against South Africa, back in 2010. Their last Boxing Day Test against Australia, which was MS Dhoni's last match before retirement, ended in a draw. Virat Kohli, Cheteshwar Pujara and Ajinkya Rahane have been the backbone for the visitors in this series. Pujara with 222 runs is the leading run-getter, which includes a century and a fifty; the batsman has been quite consistent in his approach and is likely to make the Aussie bowlers run for their money again. Virat Kohli is coming off of an impressive 123 in the previous Test and the Indian skipper is expected to conquer the bowlers right from the beginning. 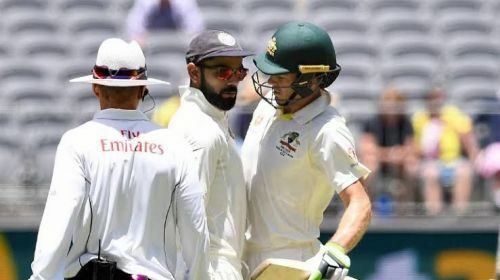 Rahane, with 164 runs in two Tests, is the series' third best batsman and he along with Kohli played a key role in the previous Boxing Day outing in Melbourne by cracking tons in the first innings. If these two can replicate their performance from 2014, we could see India ending their Boxing Day drought in Australia. India's only concern in batting is the failure of their openers KL Rahul and Murali Vijay, who have now both been dropped. Rohit Sharma has been recalled to the side and Mayank Agarwal has been drafted in too, but i'll be interesting to see who is given the opening duties. Mohammed Shami ended with 6/56 in second innings at Perth. He also has six wickets to his name in the only Test he has played at the MCG, and the pacer will be visitors' main weapon in the third Test against the Aussies. Ishant Sharma and Jasprit Bumrah have shared 10 wickets (five each) between them, and their current form is a big boost for the team ahead of the clash. Their only concern here is the spin department; Ravindra Jadeja has been recalled to the side due to Ravichandran Ashwin's injury. Virat Kohli (C), Ajinkya Rahane, Hanuma Vihari, Rohit Sharma, Mayank Agarwal, Rishabh Pant (W), Ravindra Jadeja, Mohammed Shami, Ishant Sharma, Jasprit Bumrah and Cheteshwar Pujara.